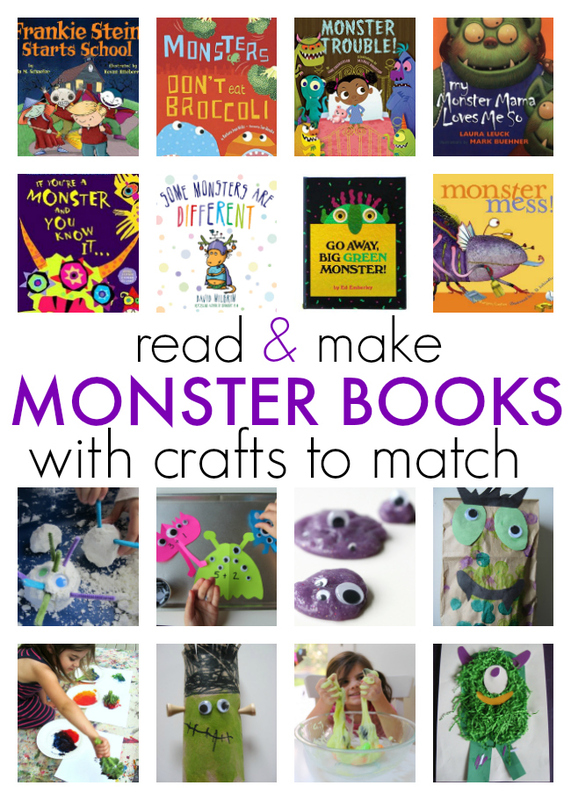 8 Monster Crafts with Books that Match – Read & Make! 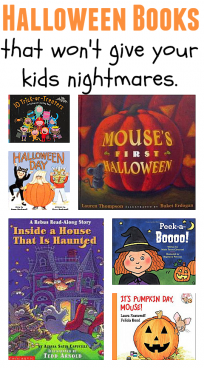 Halloween books are fun, but when you match them with a super fun craft, sensory play, or learning activity they are even better! 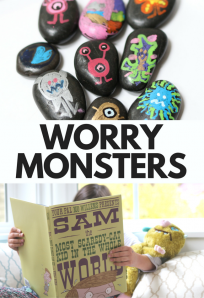 These are some of my favorite Monster books matched up with some of my favorite monster activities for preschoolers. The book titles are linked to the Amazon page for each book, and the activity is linked to the post with the full tutorial. 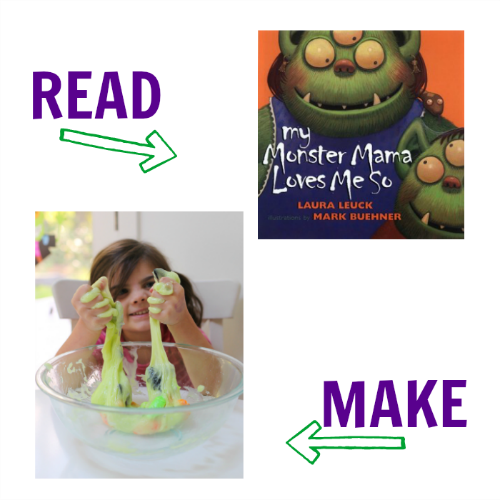 Read this sweet monster story My Monster Mama Loves Me So and then do what parents and then cook up some Monster Stew! 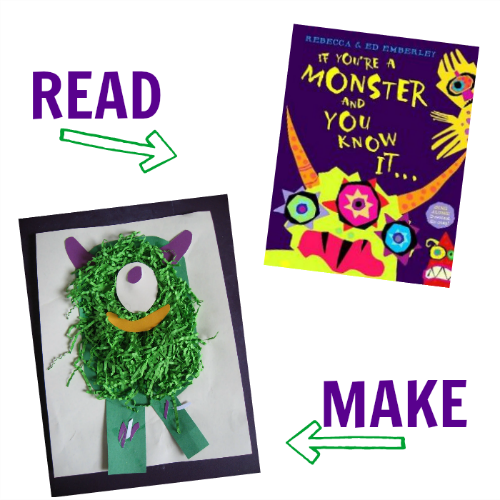 Read If You’re A Monster And You Know It ( don’t even try not to sing it, it just happens) and then explore textures and create your very own Paper Monster. 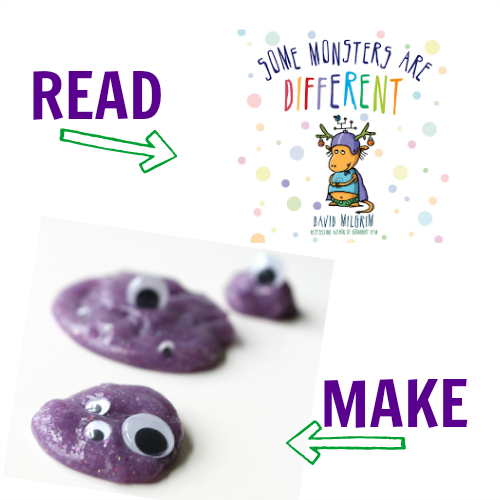 Read Some Monsters Are Different and then squish and squeeze your own monster with our purple Monster Slime! 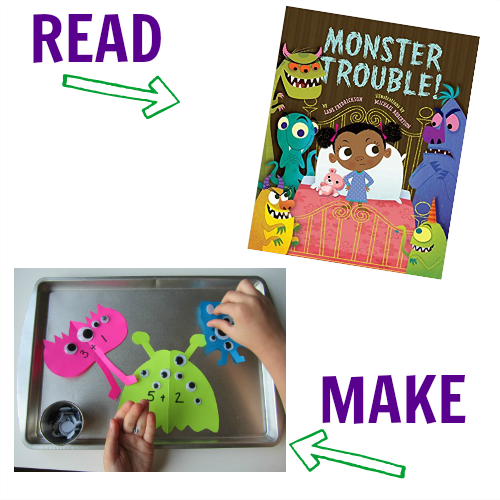 We just love Monster Trouble and our easy Monster Math Tray is a perfect activity after reading it. You can ditch the equations and just add numbers for younger kiddos too! 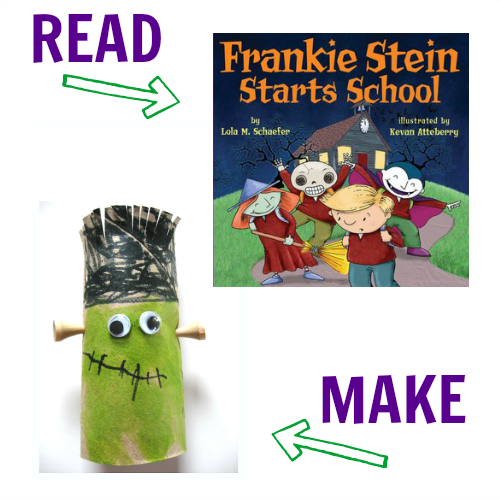 Frankie Stein Starts School is fun to read, and you can re-enact the book after you make your own Paper Roll Frankenstein! 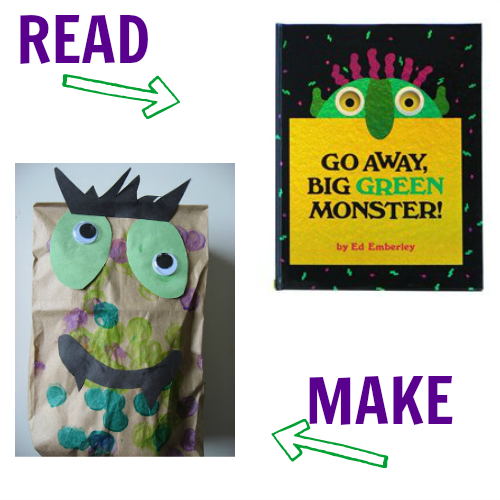 Go Away Big Green Monster is a classic because it is just THAT fun to read and this Paper Bag Monster craft is a fun way for kids to make their own Big Green Monster or Big Purple Monster or Big Blue Monster… you get my point! 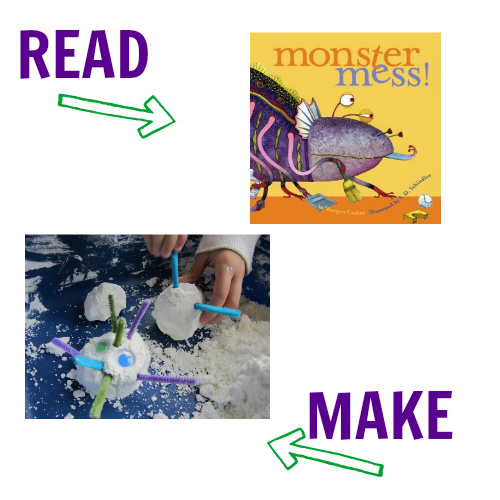 Read Monster Mess and then make your own Monster Muck mess. This sensory play is great for kids of all ages, just adjust what add-ons like googly eyes and pipe cleaners you use. Monsters Don’t Eat Broccoli is a hilarious book and a great one to use when learning about veggies. 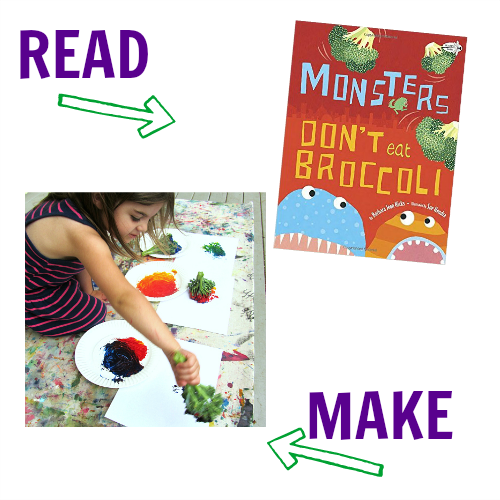 It just makes sense to explore broccoli in a bunch of ways after reading including painting with broccoli! 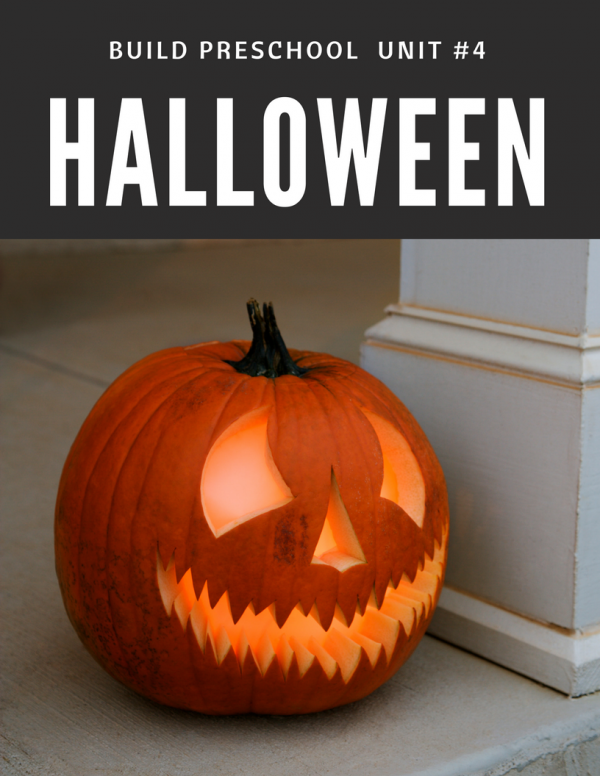 Find more Halloween activities in our Halloween Thematic Unit!